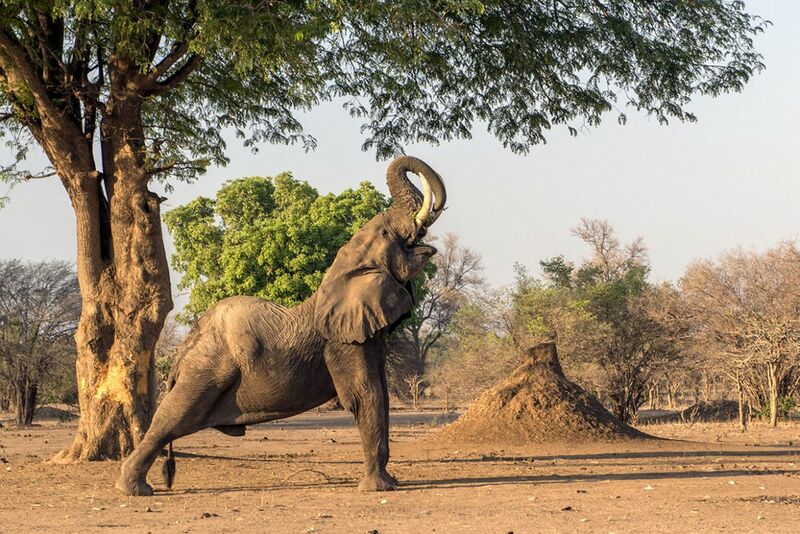 A gigantic elephant stretches into yoga poses in Zimbabwe. This flexible elephant looks like he's doing yoga as he reaches for food. The giant elephant in Zimbabwe could easily be practicing his Warrior pose and Chaturanga as he stretches his trunk to the branches. Ana Zinger of Brazil spotted the hilarious moves and said the elephant must be very smart.